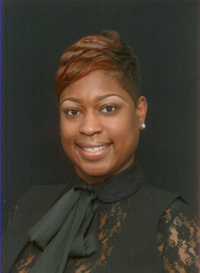 Dr. Ashanda Stephens is a licensed Chiropractor serving the College Park, East Point and South Atlanta communties. Dr. Stephens specializes in the proper treatment and documentation of auto injuries resulting from car accidents and other serious injuries. As a top chiropractor in College Park, Dr. Stephens is committed to optimal health and the well being of patients. As a teenager, Dr. Stephens was introduced to chiropractic due to automobile accident. She quickly learned that the body will reveal when there is a problem and by ignoring the problem can result in long-term or permanent conditions. She experienced neck pain and lower back pain due to the automobile accident. She received effective chiropractic treatment and noticed a significant amount relief from the adjustment and therapy. As a result of this experience, she knew almost immediately that this particular extension of healthcare is what she wanted to practice. Dr. Stephens graduated with a Doctorate in Chiropractic from Sherman College of Chiropractic.She has post graduate continuing education studies in automobile accident collision injuryresearch, physiotherapy, rehabilitation and chiropractic techniques for auto accidentinjuries treatment. Dr. Stephens attended Fisk University in Nashville, Tennessee, where she received a Bachelors of Arts degree in Biology with a concentration in Pre-Medicine. Dr. Stephens is certified by the National Board of Chiropractic Examiners that includes completion of Part I, II, III, IV and Physiological Therapeutics. Dr. Stephens uses a "whole person approach". This approach to wellness means looking for underlying causes of any disturbance or disruption (which may or may not be causing symptoms at the time) and make whatever interventions and lifestyle adjustments that would optimize the conditions for normal function. Using this unique approach, Dr. Stephens is able to help you to accelerate and/or maintain your journey to good health. In addition, Dr. Stephens uses a wide variety of chiropractic techniques when adjusting herpatients allowing her to tailor treatments to the specific needs of each individual patient. Dr.Stephens uses low-force techniques she believes in gentle yet effective treatment when itcomes to your health. She is well trained in different full spine manipulative techniques such asDiversified, Activator, Thompson, Pediatric Adjusting and Toggle.